Riding a bicycle is a great way to get exercise, and in some cities, it is the most efficient form of transportation. But biking is not without danger, and riders have to be careful to stay safe while riding a bicycle among passenger cars and trucks. Accidents do happen and may be caused by motorists or even from a defect in the bike itself. Bicycle accidents involving defective tires can cause serious injuries. 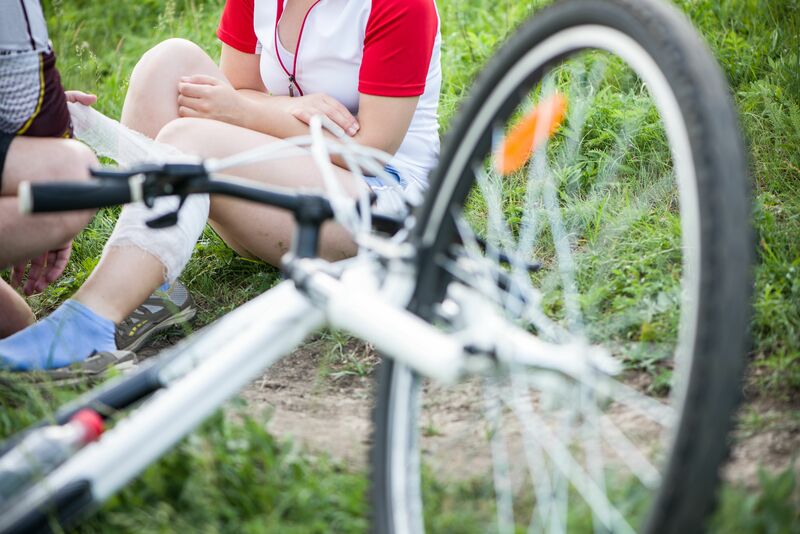 When a bicycle accident happens, it is essential to seek legal advice to learn your options for recovery. Bicycle accidents involving defective tires can be handled by our Concord, CA, Berkeley, CA, and East Bay Area lawyers at Sumner Law, where maximizing recovery is the main goal. The instance of accidents involving bicycles has risen in recent years. This upward trend may be the result of negligent drivers, but could also be accounted for by examining the bicycle for any defect. One of the most common defects found in bikes is the tires. Tires on bikes are meant to perform certain ways in certain circumstances and require routine maintenance. But even when riders perform regular inflation checks, tires can go flat or blowout, causing an accident that results in significant physical injuries. If your tires are not performing as they should, despite proper care and use, they may be defective. A good indicator that your tires are faulty is if your bike does not ride smoothly, but instead feels bumpy even on a smooth surface. If you are experiencing any of these issues, a check of your tires must be performed right away. If the tires are defective and you have been hurt as a result, you are entitled to seek compensation for your injuries from the tire manufacturer. Our team of legal professionals can help. Defects during the manufacturing process: If substandard materials were used to manufacture the bicycle tire, the manufacturer is liable for injuries resulting from the defective product. Design flaws: When products are designed, there is a requirement that they be designed to meet all safety specifications, with an end product that is safe for consumer use. Taking shortcuts during the design process, or implementing a design that is hazardous can lead to liability for injuries. Sales team liability: Wholesale and retail stores bear some responsibility when a defective item is sold to the public. As with any accident, the first thing a victim should do is seek immediate medical attention. Be sure to keep record of all doctor visits and charges, so you are able to prove the amount of your damages. When a defective tire is the cause of the accident, it is beneficial to keep the tire on hand, and have an expert inspect it for any defects. Knowing the cause of the accident and pointing to the specific defect helps to support your claim for damages. If you have been in a bicycle accident, the attorneys at Sumner Law know how to help. A comprehensive review of the facts and circumstances associated with the accident help to build your case, and we know how to present those facts in a light most favorable to your position. For more information, contact us online or call us at (925) 278-6170.